LED life of 100000 hours . 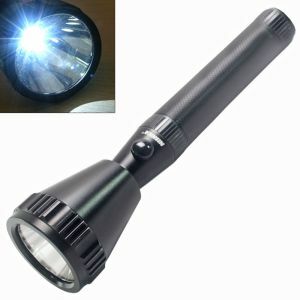 Model name 800 meter LED. 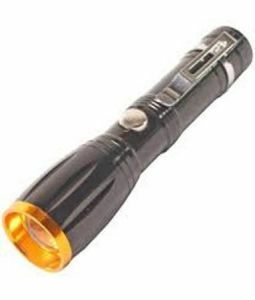 The water resistance design is for use in rainy day- not for swimming or submerging in water. White LED emitter, low power consumption, ultra-bright, visible over a long distance. 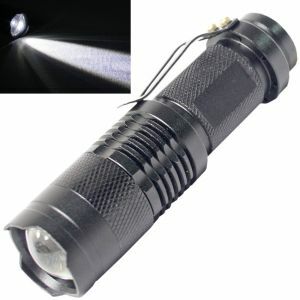 Water Resistant, Aluminum alloy reflector. 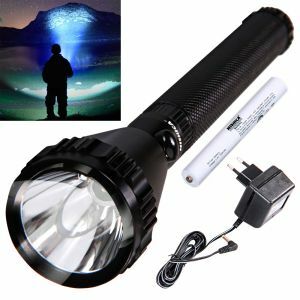 Especially fit for Night, sport, camping, hiking, hunting, war game and other outdoor activity . 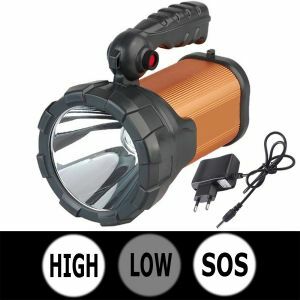 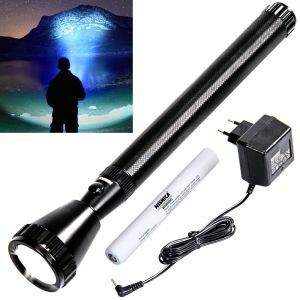 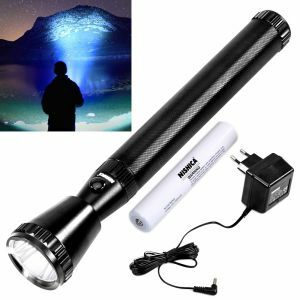 1 X 800M NISHICA Rechargeable LED Plus Flash Light Torch Flashlight.1 X Rechargeable Battery.1 X Charger.